Q - Is there a way to make an adjustment to amounts posted to a job code? Including amounts posted through the payroll system? A - Are you talking about a GL Adjustment Journal Entry? 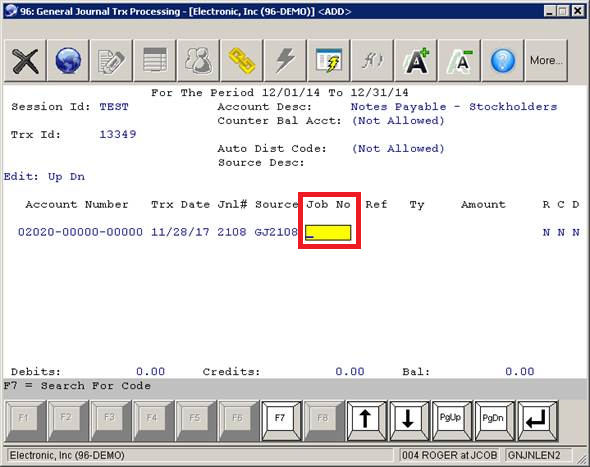 You have the option to turn on Job Code capability at GL Transaction Processing. Turn on the function --- Main Menu -> System Utility (Util_Setup) -> Global Setup -> ACCT -> GL Global Control, set flag "1. Use Job No In G/L Journal Entry" to "Y"